Late last year we saw the release of Baldur’s Gate: Enhanced Edition from the fine folks at Overhaul Games. 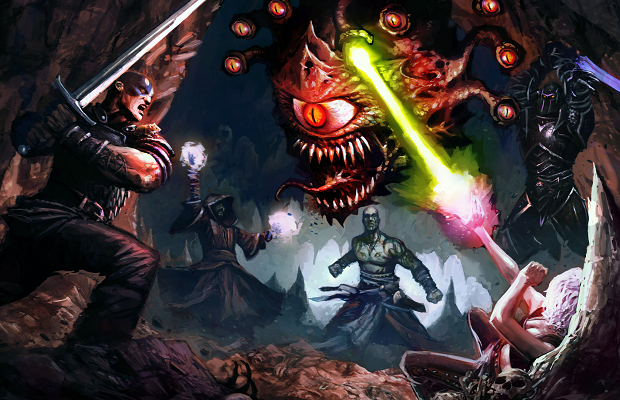 Using an advanced version of the Infinity Engine, which originally powered the series and many like it, the new edition brought with it higher resolution visuals and a few new possible party members to pick up along your dangerous quest. Now, a year later, the studio has taken the obvious second step by giving the sequel, Baldur’s Gate II: Shadows of Amn the same treatment. Packaged with the Throne of Bhaal expansion as well, the re-release shares many of the same positives of the first. The game itself is still amazing, and the Enhanced Edition provides another avenue to play it on modern machines. Unfortunately, it is also far from the cheapest option out there for those who wish to revisit the shady streets of Athkatla. Set in the Forgotten Realms campaign setting from the storied Dungeons and Dragons franchise, the world of Baldur’s Gate II should prove quite familiar to fans of the tabletop game. We once again take the role of the fated protagonist from the first game, who as the story opens has been captured by an unknown assailant. After breaking free, he or she reunites with a few familiar faces from the first Baldur’s Gate as they try to uncover the secrets of their powerful captor. As is to be expected, they reveal a conflict much larger than themselves that deals with treacherous thief guilds, fearsome mages, gods of murder; the usual D&D fare. As with the first Enhanced Edition, combat remains mostly unchanged. Dungeon delving with your rag-tag team of adventurers plays out the same way it did years ago, with a formation of up to six party members strategically clearing room after room of fantastical baddies. No changes have been made to the core ruleset of BG II, so you’ll once again have to familiarize yourself with the sometimes backwards D&D 2nd edition rules, but fans of the series should have no trouble fitting into those familiar shoes. Soon enough, you’ll be taking each fight round by round, casting spells and managing character placement with an urgent purposefulness reminiscent of its tabletop inspiration. The strategic combat you know and love remains unchanged, and that’s great. It’s one of the game’s main attractions. Unfortunately, as with the first Enhanced Edition, not much else has changed. A handful of new characters again populate the world of Baldur’s Gate, many of whom you might recognize if you’ve played the first Enhanced Edition. But outside of their storylines, the game remains mostly as it was back in 2000. While it does play at a higher resolution and in widescreen, the visuals only look marginally better. The Black Pit also returns with another series of combat encounters to keep you busy, but as before, there isn’t much of a story outside of an extremely basic justification for one crazy fight after another. It’s tough to try and place a value on the new content, as the additional adventurers are quite varied and bring with them worthwhile tales, but it’s somewhat difficult to consider it enough justification for the price point. While the asking price from Overhaul Games is only $25, the original release of Baldur’s Gate II plus its expansion can also be found for less than half the price at GoG.com. Having only played the PC version, I cannot attest to the value of the iPad version, but I can see how the gameplay could translate quite well. So the question is, how much more are you willing to pay for a possible portable version of Baldur’s Gate II with a little bit of extra story? Of course, I do not wish to deride the game itself. Baldur’s Gate II, hell, the Baldur’s Gate series in general remains one of the classics of western RPGs. Everything about the game stands the test of time; the plot, the writing, the combat. The only real gripe one could have with the latest Enhanced Edition is the price, and that becomes a mater of personal preference. What content is added is enjoyable, and the game runs without a problem on a modern machine. If you’re looking for a reason to revisit the RPG classic, Baldur’s Gate II: Enhanced Edition is a well made, if slightly expensive option. Baldur’s Gate II: Enhanced Edition was developed primarily by Overhaul Games and published by Atari. A PC copy of the game was provided by the publisher for review purposes. You were about to tell us what new additions come with the new game? No?